Mariaville bed and breakfast travel guide for romantic, historic and adventure b&b's. 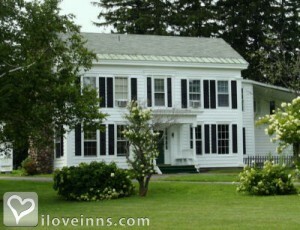 Browse through the iLoveInns.com database of Mariaville, New York bed and breakfasts and country inns to find detailed listings that include room rates, special deals and area activities. You can click on the 'check rates and availability' button to contact the innkeeper. Mariaville, NY is one of Schenectady County's best kept secrets. This tiny hamlet in upstate New York is part of the town of Duanesburg, founded by James Duane in the 1700s, and named after his eldest daughter Maria. Mariaville, NY is a small village about an hour south of Saratoga and 30 minutes west of Albany. By Mariaville Lake Bed & Breakfast. Mariaville is Schenectady County's best kept secret. Not only do we have a beautiful lake but Mariaville has a peaceful, happy vibe. Located at Schenectady County's western edge, it's a quick drive to great hiking at the Plotterkill Nature Preserve or Thacher Park. Kateri Shrine and the Schoharie Crossing State Historic Site will stimulate a love of our rich history. Saratoga is only 45 minutes from Mariaville and there are many fine restaurants to experience. Mariaville is close to Howe Caverns which will delight young and old. By Mariaville Lake Bed & Breakfast. Mariaville is one of Schenectady County's best-kept secrets. This tiny hamlet is part of the town of Duanesburg, founded by James Duane in the 1700's, and named after his eldest daughter Maria. (pronounced Mariah) Mariaville is about 45 minutes south of Saratoga and 30 minutes west of Albany. It was a resort community in the 1920's and it is experiencing a renaissance. By Mariaville Lake Bed & Breakfast.